We understand that this is a difficult time for your family. In order to help you select the best cremation options for your loved one, we’ve put together several cremation service packages. These preselected packages include the burial services and selections most often selected by the families we serve. You can find our general price list here. 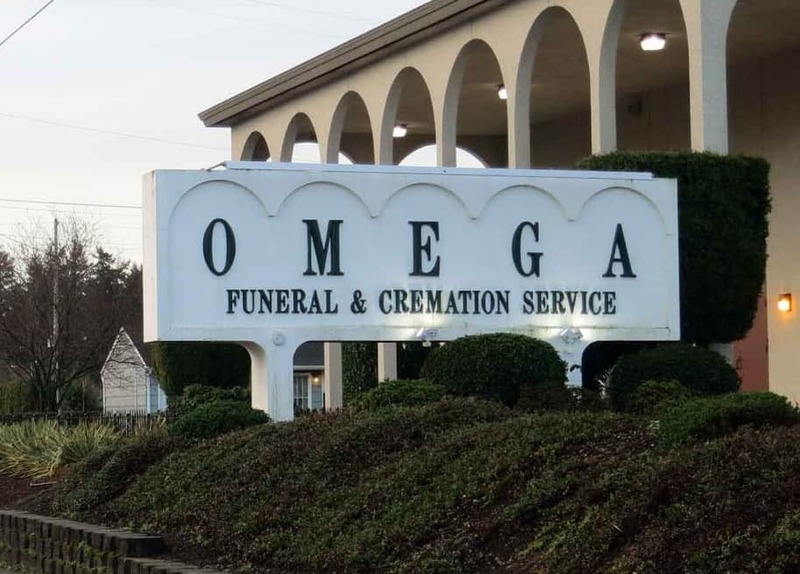 Includes all the services of our staff, facilities and equipment for a ceremony with the body present, initial local transportation of the deceased (Within Multnomah, Clackamas, Washington & Clark Counties), embalming or alternative preparation of remains & refrigeration, dressing & casketing of the remains, viewing of deceased for up to 1 hour on day of service, local use of hearse, receiving, care and transportation of floral tributes to place of interment, Bradford Casket ( non-sealing metal, Choice of 5 colors), **submission of obituary information to newspapers & placement of obituary on our website, Oregon State filing fee and 1 certified copy of the death certificate. Reception not included. *A credit of $1315.00 may be applied to the cost of another casket from our selection. ** does not include media/newspaper publishing fees. Complimentary (no charge) online obituary available on Omega’s website upon request. *A credit of $520.00 may be applied to the cost of another casket from our selection. Includes all the items and services in Package A and use of viewing facilities for 1 business day (Up to 8 hours), discounted for a graveside ceremony only. Includes basic services of the staff, facilities and equipment, initial local transportation of the deceased (Within Multnomah, Clackamas, Washington & Clark Counties), sheltering of the remains, local transportation of the casket to the cemetery in the van, County casket (cloth covered wood), **submission of obituary information to newspapers & placement of obituary on our website, Oregon State filing fee and 1 certified copy of the death certificate. Cemetery charges (grave space, opening & closing of the grave, an outside burial container or a grave marker), additional certified copies of the death certificate, honorariums, flowers, reception, autopsy restoration, medical examiner fees or other services, newspaper obituary publishing fees, merchandise or cash advance items that the family may request or may be necessary. (We will advise you of any requirements).